Spoofing in the world of Information technology is much important as it is valuable and used to accomplish different tasks. By using the spoofing methods you can enjoy your internet surfing and other hobbies. Spoofing will allow you to defeat your original location tracking and you can set any other location according to your needs and interests. 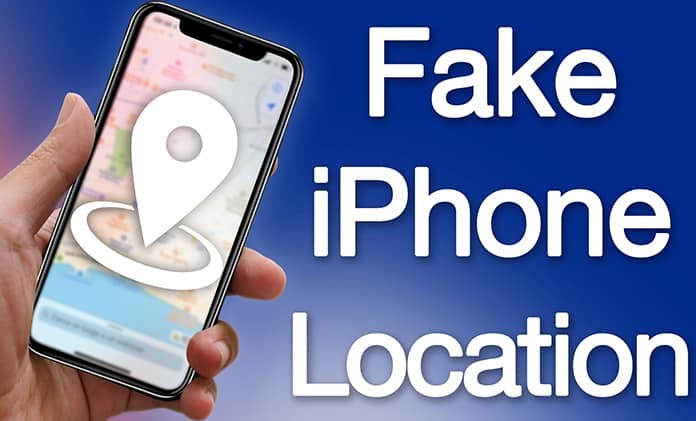 In this article, we will tell you how to spoof or fake location on iPhone without jailbreak. Using our following method, you can enjoy long-term web usability. It is more demanded for playing different kinds of games all across the world. Let’s take an example of Balloon game. In such game you need to maintain your levels connecting with different players all across the world. So, you need to change your location to access different features and options. As the game tracks your original location with your game plan date, so you need to use spoofing method to enjoy this and any other game in better way. The complete method of spoofing is given below. 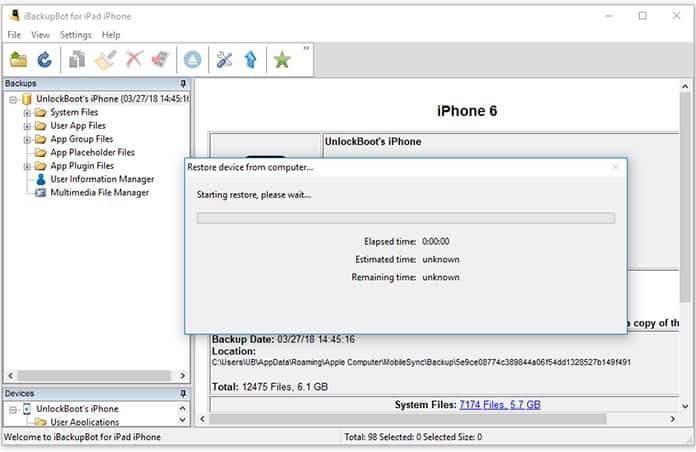 The best and most crucial thing about this method is that this does not demand any jailbreak. So, have a look at below usable method with its different steps. 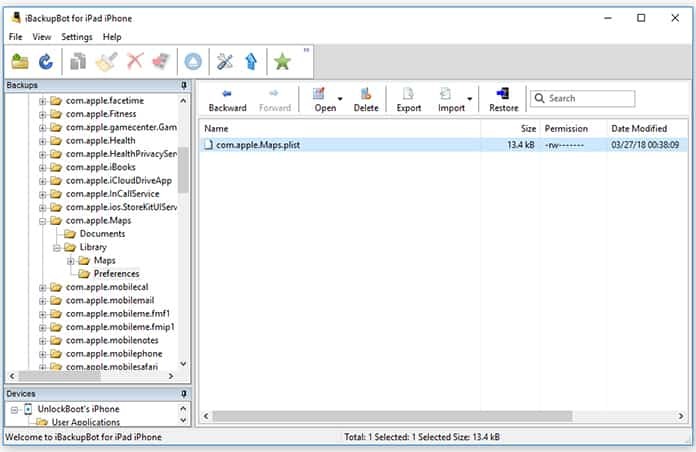 Step 1: If you want to fake location on iPhone, first you will need to connect your iPad or iPhone to your PC or Mac with installed iTunes. It will automatically turn on the functionality of iTunes. But you have to make sure that everything is working as usual. If iTunes is not still in operation then please be sure to launch it. After that, you can follow the next step. Step 2: Now you need to click on the device icon to get the details of the connected device in iTunes. Find the section named “Manually Back Up and Restore”. After that click on the option named “Back Up Now”. 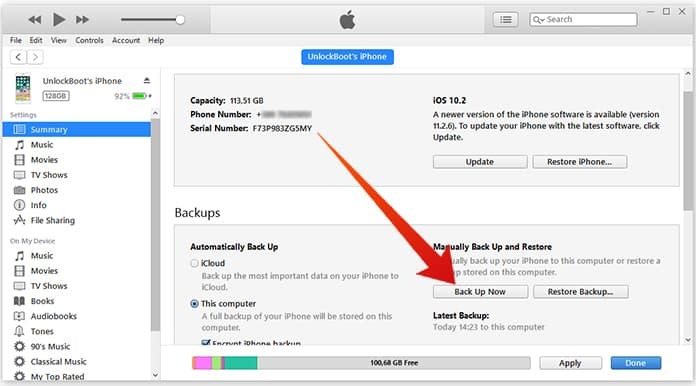 At this step, you should confirm that the option of “Encrypt iPhone backup” is not selected by you or not automatically activate. Step 3: At this their step, you need a software named iBackupBot which is a trusted and well-known software. You can easily download it from its official website. Step 4: After downloading the software, you need to install and then finally launch it on your system i.e. Windows or Mac system. After launching, it will automatically detect the last backup which you made in iTunes including loading other relevant information. Step 5: Now while using this software, you need to navigate anyone location which is mentioned below. You require accessing a specific file from there. User App Files > com.apple.Maps > Library > Preferences. 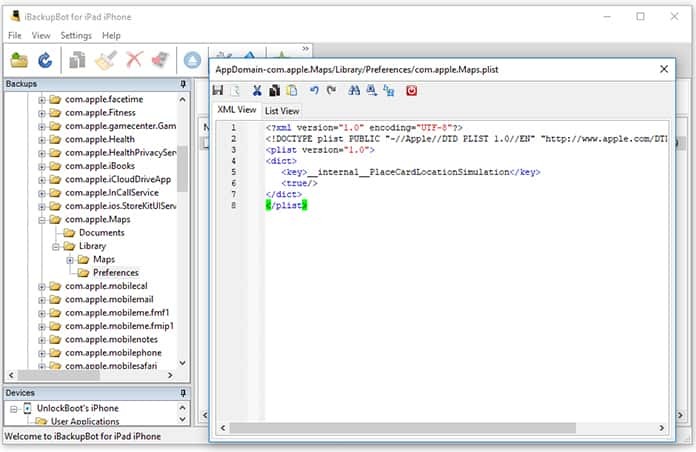 Step 6: After doing all above steps, you need to open the com.apple.Maps.plist file. This file is important and is a property list which is associated with Maps app. Step 7: This file consists of unique structure among which you have to find the block data starting with <dict> tag and the keyword. After finding it, you require inserting following two lines in it. Step 8: After pasting above line you should save the file and exit from the iBackupBot software. Step 9: After above process, you are able to do any needed change on your iOS device. Launch settings and navigate to iCloud > Find My iPhone/iPad/iPod. Now be confirming that the feature is not checked and disabled. It may demand your Passcode for successful operation. Keep the device connected to your computer and never disconnect it. 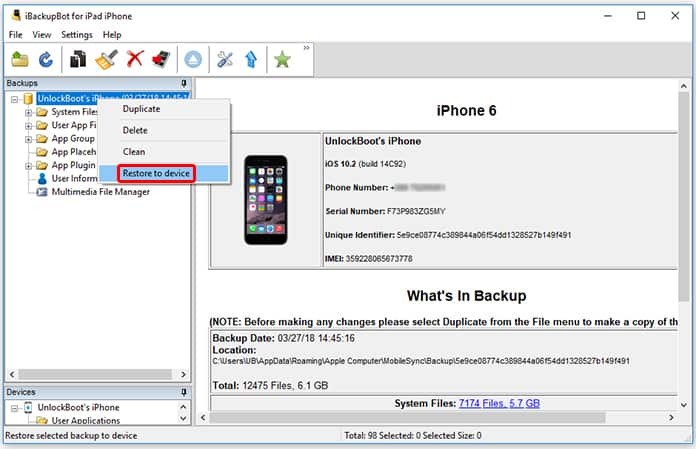 Step 10: Now select the ‘Restore to Device’ and that backup should be the same which you edited using the iBackupBot software. Step 11: After completion of Restore process, now you have to launch the Maps app and now you are able to choose and insert any location according to your wish. After inserting the desired location, you need to tap on the information bar which is at bottom of your screen. There will be an option named Simulate Location. You have to tap on this option to teleport your location to new location according to your wish. It’s all. Enjoy at its peak without any limitations.